Omitara, one of the two poor villages in Namibia where basic income was tested in 2008-2009. From January 2008 to December 2009, a pilot project with basic income grant was implemented in the Namibian villages of Otjievero and Omitara. The project was organized by the Namibian Basic Income Grant Coalition. It was mainly funded by a German Protestant church, by individual contributions of German and Namibian citizens and by contributions of the German Ministry for Cooperation. The amount paid out per head was N$100 (around US$12). After the launch, the project was found to have significantly reduced child malnutrition and increased school attendance. It was also found to have increased the community's income significantly above the actual amount from the grants as it allowed citizens to partake in more productive economic activities. The project team stated that this increase in economic activity contradicts critics' claims that a basic income would lead to laziness and dependence. After the conclusion of the pilot project phase, a monthly bridging-allowance of N$80 (around US$10) was paid regularly to all who participated in the pilot until March 2012. One of the conclusions of the project was that, even with the restriction that only residents of the village for over a year since the pilot's start could benefit from the grant, there was a significant migration towards Otjivero-Omitara, despite the fact that the migrants wouldn't receive the grant. The project concluded that this phenomenon reveals the need to introduce such basic-income systems as a universal national grant, in order to avoid migration to particular regions, towns or households. Another finding of the project was that after the introduction of the pilot, overall crime rates fell by 42%, specifically stock theft, which fell by 43% and other theft by nearly 20%. These conclusions are derived from two empirical studies conducted by the Basic Income Grant Coalition. One study that covers the first 6 months of the project and a second study about the first 12 months of the project. No further empirical studies or project assessments have been published. However, there is no public access to the project database. Something the project representatives confirmed in Namibian press, including a justification of it. In May 2012, the community leader of Otjivero-Omitara, Ernst Gariseb, told a journalist of a Namibian newspaper: "Since two decades we are sitting here without work, development and perspectives." The journalist concluded: "Despite the support of the BIG there is not any development to be seen in Otjivero." The Democratic Alliance has advocated basic income. Under the name "the Basic Income Grant," South Africa experienced a major wave of political interest in UBI in the early post-Apartheid period. Two basic income pilot projects have been underway in India since January 2011. According to the first communication of the pilot projects, positive results have been found. Villages spent more on food and healthcare, children's school performance improved in 68 percent of families, time spent in school nearly tripled, personal savings tripled, and new business startups doubled. India has been considering basic income in India. On January 31, 2017, the Economic Survey of India included a 40-page chapter on UBI that outlined the 3 components of the proposed program: 1) universality, 2) unconditionality, 3) agency. The UBI proposal in India is framed with the intent of providing every citizen "a basic income to cover their needs," which is encompassed by the "universality" component. "Unconditionality" points to the accessibility of all to the basic income, without any means tests. The third component, "agency," refers to the lens through which the Indian government views the poor. According to the Survey, by treating the poor as agents rather than subjects, UBI "liberates citizens from paternalistic and clientelistic relationships with the state." In Japan, New Party Nippon and the Greens Japan support basic income, along with some economists such as Toru Yamamori and Kaori Katada. Macau has distributed funds to all residents, permanent and non-permanent, since 2008, as part of the region's Wealth Partaking Scheme. In 2014, the government distributed 9,000 patacas (approx. US$1,127) to each permanent resident, and 5,400 patacas ($676) to non-permanent residents. The Socialist Party supported basic income, along with delegate Geum Min in South Korea. According to Aminah al-Thahabi, who writes for Niqash, most political groups, including political parties in the Parliament have adopted a position on the issue. Proponents of the basic income argue that the system would end the oil curse and that all Iraqis with this kind of system would be able to get a fair share of the country's oil resources. Opponents argue that the reform would be inflationary and that oil money would be better spent on infrastructure, especially since much of this is still in disastrous condition after years of sanctions and war. 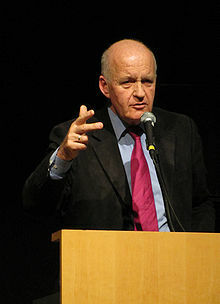 Johnny West, OpenOil consultancy, estimated that Iraq could introduce an annual basic income of 220 U.S. dollars per person in October 2012 and then level could increase with increased production. He also argues that Iraq has such great natural resources that poverty could be abolished in two years. Iran was the first country to introduce a national basic income in Autumn 2010. It is paid to all citizens and replaces the subsidies of petrol, fuel, and other supplies that the country had for decades in order to reduce inequality and poverty. As of 2012[update], the sum corresponded to about 40 U.S. dollars per person per month, 480 U.S. dollars per year for a single individual and 2,300 U.S. dollars per year for a family of five people. The initial public and political reaction to the program was negative. Local press claimed that the poor were abandoning their jobs due to the extra money, and the Government has considered introducing means testing to reduce the costs of the program. A first assessment of the experiences in Iran was provided in 2011 by H. Talabani. Another assessment published in 2017 found no evidence of cash transfers recipients reduced their participation the labor force. The "European Citizens' Initiative for Unconditional Basic Income" was a citizenship initiative in the European Union 2013, with the aim to collect one million signatures, and by that force the Council to consider basic income carefully in the EU, and to make a basic income report. The national campaign in Bulgaria for this initiative got support from "The Artist Union of Bulgaria", "The Bulgarian Music Association", "The European Anti-Poverty Network" (Bulgaria), Citizens' Movement "DNES", "Zona Lovech", "The Bulgarian Association of the Economists" and the "CITUB" trade union. The "Bulgarian National Radio" also joined as a media partner and "Metroreklama" granted the right to advertise the Initiative in all metro stations and trains. With all this organisations backing up the initiative Bulgaria eventually reached its national quota of signatures, and even more than so, 230 percent. In December 2014, one year after the European basic income initiative, Bulgarian Union for Direct Democracy, a new party, was created. Besides direct democracy the party also included basic income in its program. The first bigger discussion on universal basic income in the Czech Republic was initiated by philosophers and social scientists Marek Hrubec and Martin Brabec. Later, they published with Philippe Van Parijs a book "Všeobecný základní příjem. Právo na lenost, nebo na přežití?" ("Universal Basic Income. Right to Laziness, or Right to Survival?"). In 2013, activists and social scientists joined the European Citizens' Initiative for Unconditional Basic Income, and have created a campaign to support unconditional basic income. In the Czech Republic, unconditional basic income is supported by many individuals, NGOs (Alternativa zdola, ProAlt, Levá perspektiva, for example), and political parties. It is the program of the Green Party, the Communist Party, the Pirate Party, and the Party of Democratic Socialism. It is also supported by many Social Democrats. In the 1970s, Finnish researchers were inspired by Milton Friedman's proposal for a negative income tax. In 1994, Osmo Soininvaara wrote a book advocating basic income. The Young Finns advocated basic income in the 1990s. The Centre Party began advocating liberalization of labor markets and basic income in the end of the 1990s. In 2003, the Research Institute of the Finnish Economy published the book "Kansantalous 2028" ("Economy 2028"), which concluded that a basic income and a flat income tax rate would be a good solution. In 2007, Kansallinen sivistysliitto published the paper "Sisällä vai ulkona – kohti perustuloa? ", which advocated basic income. In 2007-2011, the centre-right government was interested in adopting a basic income system. However, the SDP and trade unions affiliated with the party were aggressively opposed to basic income. In 2013, Libera Foundation published a detailed proposal for Life Account ("perustili"), a savings account that allows owners to withdraw money (up to a monthly maximum) even if their balance is negative. Everyone would receive the account at the age of 18 and the initial balance would be 20,000 euros. The initial balance would replace the current student grant system. Life account would resemble basic income. In 2014, the Centre Party as well as the Left Alliance and Green League, expressed support for basic income. In May 2015, the Sipilä Cabinet committed to carrying out a Basic Income experiment as part of a government program. In November 2015, Kela, the Finnish Social Insurance Institution launched a preliminary study to identify the model for implementing the experiment. In 2018, Finland ended the universal basic income experiment. The French region Aquitaine, where a basic income pilot will take place, according to a decision in the regional council. The debate in France started in the 1970s but as elsewhere in Europe it took a long time for it to become a major political issue. However, in 2015 the regional parliament in Aquitaine voted for an implementation of some kind of basic income experiment. In January 2016, the Conseil national du numérique, a public Advisory body on Digital Affairs released a report which recommends to examine and experiment basic income. Some of the most well-known defenders of basic income in France are Yoland Bresson, André Gorz, Baptiste Mylondo, Yann Moulier Boutang, Toni Negri, Jean-Marc Ferry, Ignacio Ramonet, Jacques Marseille [fr], Christine Boutin, Dominique de Villepin, Karima Delli, Jean Desessard and Yves Cochet. The think tank Centre des Jeunes Dirigeants (CJD) ("Young policymakers trust") also call for a basic income of 400 euros per citizen, per month. The CJD's and Christine Boutin's basic income proposals are based on Marc de Basquiat financing model, which demonstrates a way of financing a basic income of about 500 euros for every adult and 250 per child, while other advocates such as Baptiste Mylondo and Jacques Marseille promote a "high enough" basic income, around 750 euros. However, unlike Mylondo and Marseille, De Basquiat's model doesn't reduce any pension, housing or unemployment benefits. In 2015, an opinion poll suggested that 60% of the population was in favor of a basic income. Götz W. Werner, a German proponent of basic income. The debate about basic income started to grow in the 1980s when groups of unemployed people came out in favor of the reform. For many years the idea was only supported openly by some academics, such as Claus Offe, and a few politicians and organizations. However, after the Hartz reforms, introduced by the Cabinet of Gerhard Schröder in 2003-2005 and subsequently modified, a debate regarding basic income was triggered. 2009, Susanne Wiest, a house wife, made a presentation in the German Parliament about the basic income petition she had initiated and which received support from 52,973 people. 2010 there were several basic income demonstrations, the biggest in Berlin. 2011 the Pirate Party decided to advocate for a basic income alongside minimum wages. Among the political parties in Germany, the Pirate Party officially endorsed basic income in 2011. Inside the Christian Democratic Union, Dieter Althaus proposes a basic income model. A group led by Katja Kipping also promotes basic income inside the leftist party Die Linke. Also, within the Social Democratic Party of Germany, the Rhein-Erft-group favors basic income since 2010. Within The Greens there are also many advocates. In 2016 the Basic Income Alliance was formed, a single-issue political party that advocates for a universal basic income. Though the idea of basic income is not well known in Greece, several economists have worked on the topic. In 2010, the liberal party Drasi supported a proposal for a basic pension scheme, aiming at simplifying the hundreds of pension schemes in a country being hurt by the debt crisis and pressured by the troika to balance its public budget. Manos Matsaganis and Chrysa Leventi co-authored a study that demonstrate the feasibility of such a proposal. Other heterodox proposals suggest that a Greek exit from the eurozone could be an opportunity to implement a "monetary dividend" for every Greek citizen as a way to manage the financial collapse of the country. Unconditional basic income is endorsed in Hungary by the FNA Group (formed in 2011) and the Hungarian Pirate Party. In 2014 the LÉT workgroup published a proposal, which involved paying 50,000 HUF per month to every adult and 25,000 HUF to every child; 90% of the cost would have been covered by rearranging existing social welfare, the rest by a dedicated new tax. The proposal received no significant political support. In October 2014 the Icelandic Pirate Party put forth a parliamentary resolution calling on the Minister of Social Affairs and Housing and the Minister of Finance and Economic Affairs to appoint a workgroup to conceive ways to ensure every citizen an unconditional basic income. Although the next parliamentary election in Iceland will not be held before April 2017, as of March 2016 the Icelandic Pirate Party has held an overall lead in opinion polls since April 2015. Currently the chief advocacy group is Basic Income Ireland, a member of BIEN. Social Justice Ireland has produced a fully costed proposal for 2012. Before that, the main advocate was CORI (Conference of Religious of Ireland), one of the social partners. Politically, the Green Party and Fianna Fail (the latter as of July 2015) favour a Basic Income. As part of the agreement with the social partners including CORI, a green paper on Basic Income was published by the government in 2002, but there has been no movement on a government level since then. In 2013, during the European Citizen's Initiative campaign, six MEPs from the Republic of Ireland signed a statement in favour of Basic Income. The issue of the basic income gained prominence on the political agenda in Netherlands between the mid-1970s and mid-1990s. In 2015 it was announced that the city of Utrecht and its local university will be conducting an experiment on basic income. Local authorities are planning to encourage other municipalities to engage in similar experiences. The Norwegian Green Party, Norwegian Red Party, Democrats in Norway and the Norwegian Pirate Party endorse basic income in Norway. The Liberal Party of Norway formerly endorsed a basic income guarantee in Norway, but dropped it from the platform before the 2013 election. The NGO BIEN Norge, affiliated with Basic Income Earth Network works to promote the system in Norway. In 2016, the Law and Justice government of Beata Szydło has introduced a program named "500+", satisfying the conditions of the basic income. The program was initially (before the 2015 Polish parliamentary election) said to include the parents or the legal guardians of every Polish child up to the age of 18, including those already born, without any further conditions. The allowance amount was set for 500 PLN monthly (about 120 EUR). "500+" program was launched on April 1, 2016. However, it currently includes only the parents or the legal guardians of all the second and subsequent children. The allowance on the first child is dependent on the income of the family. Since 2001, the Red Renta Básica is the national network affiliated to the BIEN. It gathers researchers and activists for basic income. From 2011 to 2012, the 15-M Movement also contributed a lot in spreading the idea among the Spanish society, and political parties as Partido Andalucista in Andalusia and Podemos introduced it as one of its proposals. In 2015, a citizen's initiative received 185,000 signatures, short of the required amount for the proposal to be discussed in parliament. Famous Spanish advocates of basic income include Daniel Raventos, David Casassas, José Luis Ley. The association BIEN-Switzerland (affiliated to the Basic Income Earth Network) promotes basic income in the francophone part of Switzerland. In the German-speaking part of Switzerland a group called "Initiative Grundeinkommen" is very active in promoting basic income. In 2008, Daniel Häni and Enno Schmidt produced The Basic income, a cultural impulse, a movie that explains and praises the idea of a basic income. With more than 400,000 views, the movie went viral and contributed a lot in spreading the idea among French and German speaking countries. In April 2012 a popular legislative initiative was launched which aimed at introducing basic income in the Swiss Federal Constitution. The campaign successfully collected enough signatures (126,000) by October 4, thereby triggering a nationwide popular referendum in 2016, making Switzerland the first country where people were consulted by referendum on this issue. The proposal would have given 2500 francs monthly to every adult and 625 francs to every child. The government estimated the costs to be 208 billion francs per year, most of which could have been covered by abolishing the existing social security system, but the last 25 million francs would have been only possible to collect by tax raises. The trade union Syna brought its support for this initiative, but none of the political parties supported the proposal, and both the federal government and the National Council of Switzerland (lower house of parliament) called on the people to reject the proposal by referendum. In the end, the proposal was overwhelmingly defeated with almost 77% voting against it. Though the idea of basic income is not promoted by the government, different tech companies develop and adopt the ideas of unconditional basic income. The most well known example is the Nimses concept. Nimses has a time-based currency called nim (equals to 1 minute). Every person that joins the system receives 1440 nims per day that can be spent on different goods and services. Guy Standing, a British basic income advocate. Basic Income has been discussed and advocated for in United Kingdom for much of the 20th and 21st century. It started with the writings by Bertrand Russell, Major C.H Douglas, and Dennis Milner around 1920 (with little if any interaction between them). In 1946 the UK implemented Family Allowances, an unconditional income for the second and subsequent children of every family, and during the mid-1970s this become Child Benefit, an unconditional income for every child. In 1982, Brandon Rhys Williams MP proposed a Basic Income to a parliamentary committee, in 1984 the Basic Income Research Group (now the Citizen's Basic Income Trust) started work, and from 2014 onwards the debate started to take off, among think tanks and academics, in the print and other media, and among some Members of Parliament. Some parties are pro-basic income, most notably the Scottish National Party, which at its spring 2016 conference backed the principle of a universal basic income to replace the current welfare system. Other parties supporting it are the Green Party of England and Wales, the Scottish Green Party, and the Scottish Socialist Party .On 16 February 2016 Shadow Chancellor John McDonnell said that a basic income policy was under consideration by the Labour Party. In August 2018, he said that Labour hoped to include a proposal for a pilot scheme in its next manifesto. 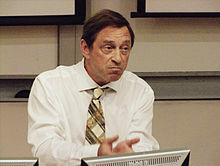 Guy Standing is perhaps the most well known contemporary advocate of the idea. In his book The Precariat - the new dangerous class, he blames globalization for having plunged more and more people into the precariat, which he analyses as a new emerging social class. He concludes on the necessity for "governments to provide basic security as a right" through a basic income. Other advocates include Edward Skidelsky and Robert Skidelsky, who argued for basic income in their book called How Much is Enough?, Malcolm Torry who is Director of the UK Citizen's Income Trust, Louis Haagh, chair of the Basic Income Earth Network, and Annie Miller who co-founded Citizens Basic Income Network Scotland. William Aberhart, premier of Alberta, was inspired by Major C. H. Douglas Social Credit theory and tried to implement a basic income for Albertans during the 1930s. However, he was thwarted in his attempts by the Federal Government of the time. The city of Dauphin, Manitoba, Canada, took part in an experimental guaranteed income program ("Mincome") between 1974 and 1979. In November 2013, a poll commissioned by the Trudeau Foundation found that 46% of Canadians favored and 42% opposed replacing current economic assistance with a guaranteed national income. Starting in 2014, the Liberal Party of Canada, the Green Party of Canada, the Pirate Party of Canada, provincial party Québec Solidaire, and conservative senator Hugh Segal have been advocating for basic income in Canada. Mike Redmond, leader of the New Democratic Party of Prince Edward Island, has supported a basic income pilot project on Prince Edward Island. In 2017 the Liberal Government of Ontario announced that in 2017 they would launch the Ontario Basic Income Pilot Project in the cities of Hamilton, Lindsay and Thunder Bay. Selected residents will receive CAD$17,000. Arguably, basic income was invented in the United States by Thomas Paine, who outlined something similar using arguments very similar those of modern basic income advocates, but it was the English writer, Thomas Spence, who—writing in response to Paine—first outlined a complete basic income proposal in 1797. The United States has experienced three distinct waves of support for basic income in the twentieth and twenty-first centuries. In the first half of the century various people advocated it in different forms including Louisiana governor Huey Long who called it "Share Our Wealth" and some followers of Henry George. The second wave of support for basic income in the United States rose during the 1960s and fell almost as quickly in the late 1970s. At the time, there was a big debate in the United States regarding poverty and how to deal with it. One of the solutions that came up during this time was some form of guaranteed income, mostly in the form of a negative income tax but sometimes in the form of basic income. In 1968, James Tobin, Paul Samuelson, John Kenneth Galbraith and another 1,200 economists signed a document calling for the US Congress to introduce in that year a system of income guarantees and supplements. Milton Friedman endorsed the negative income tax in 1962 and again in 1980, and he connected his support for the negative income tax to support for basic income in an interview with Eduardo Suplicy in 2000. Martin Luther King, a famous civil rights activist and politician, also gave his support for the idea in his book Where Do We Go From Here: Chaos or Community?, published in 1967. In 1969, Richard Nixon proposed a "Family Assistance Program" which resembled guaranteed income, in that benefits did not rapidly taper with additional earnings by the beneficiaries. Nixon's proposal only applied to families, but extended previous welfare by benefiting more than those without a 'father'. Other advocates from the 1960s and 1970s include Senator George McGovern who called for a 'demogrant' that was similar to a basic income. The most often noted outcome of the second wave of basic income support in the United States has been the four basic income experiments (see below) conducted by the U.S. government at the time but arguably expansions of Food Stamps and the Earned Income Tax Credit and creation of the Alaska Dividend (see below) were all outcomes of the debate. Discussion of basic income or any form of income guarantee drop off considerably in the United States after 1980, but the academic debate grew gradually through the 1990s and 2000s. The U.S. Basic Income Guarantee Network (the USBIG Network) was founded when six academics including Fred Block, Erik Olin Wright, and others met at the Kiev Diner in New York City in December 1999. The group held its first Congress in 2002 and has held one each year since. The yearly events have been renamed the North America Basic Income Guarantee Congress and now take place in Canada on even years and in the United States on odd years. Partly as an outgrowth of the USBIG Networks conference, a bill for a modest basic income was introduced into the U.S. House of Representatives under the name "the Tax Cut for the Rest of Us Act," based on a proposal coauthored by Al Sheahen. Following the 2009 financial crisis, and the increase political attention to the issue of inequality brought on by movements such as Occupy and the 99 Percent, brought new interest to basic income, which was furthered by influence from basic income trials conducted in Namibia and Indian and petition drives (citizens initiatives) for basic income in Switzerland and the European Union. Discussion has picked up every year to the point where mainstream political actors are regularly talking about basic income for the first time since the 1970s. A small amount of third-wave basic income support has come from the right of center, it appeals to people who think of it as a way to streamline and simplify the welfare system while making it more cost effective, and perhaps saving money. Mike Gravel talked about a tax rebate paid in a monthly check from the government to all citizens as part of a transition away from income taxes and toward a pre-bated national sales tax (the FairTax), which was also endorsed by Mike Huckabee. Libertarian advocates include Charles Murray, Jerry Taylor of the Niskanen Center, Matt Zwolinski, and a group called "Bleeding Heart Libertarians." But although conservative and libertarian support was a central part of support for the negative income tax in the 1970s, it remains a small part today. But far more of the contemporary support for basic income in the United States has come from the left of center, driving by people who see it as a major expansion of support for low-income people, as the late, Al Sheahan argued in his 2012 book, the Basic Income Guarantee: Your right to economic security. Former Labor Secretary Robert Reich has argued forceful for basic income. The Green Party of the United States in its 2010 platform advocated for a universal basic income to "every adult regardless of health, employment, or marital status, in order to minimize government bureaucracy and intrusiveness into people's lives." The Occupy Movement and Black Lives Matter have both endorsed basic income. Many climate change activists, such as Peter Barnes, propose a Citizen's dividend as part of their strategy to put a price on the depletion of resources. Many technology experts and technology entrepreneurs have begun endorsing basic income in the 2000s and 2010s. These include Marshal Brain, Sam Altman, James Hughes, Facebook co-founder Chris Hughes, Elon Musk, and Mark Zuckerberg (in his 2017 Harvard commencement speech), and Jeremy Rifkin. The overriding theme among technologists who favor basic income is the belief that automation is creating an increasingly unstable labor market. Rifkin in his book The End of Work, argued not only that the labor market is less stable that automation would reduce the total demand for workers in future. Labor leader, Andy Stern, endorsed basic income for many of the same reasons as the technology entrepreneurs. The Economic Security Project (backed in part by Chis Hughes) has begun funding basic income projects around the United States. 2020 Democratic presidential candidate Andrew Yang has a version of Universal Basic Income, rebranded as the "Freedom Dividend," as the central plank of his platform. The Alaska Permanent Fund pays a partial basic income to all its residents since 1982. According to the Basic Income Earth Network, the introduction and development of the only genuine universal basic income system in existence to this day took place just in Alaska in the mid 1970s, just as discussion of basic income was dying down in the rest of the United States. Jay Hammond, the Republican governor was concerned that the huge wealth generated by oil mining in Prudhoe Bay, the largest oilfield in North America, would only benefit the current population of the state. He suggested setting up a fund to ensure that this wealth would be preserved, through investment of part of the revenue from oil. In 1976, the Alaska Permanent Fund was created by an amendment to the State Constitution. After years of political negotiations about what to do with the returns to the fund, Jay Hammond used the power of his office to craft an agreement to create a genuine universal basic income--the Permanent Fund Dividend. Since implementation of the program in 1982, everyone who meets a special residency requirement – currently around 650,000 people – has received dividend every year. The amount varies each year, but is the same for all residents regardless of age, citizenship, employment status, number of years of residence in the state, and so on. This dividend corresponds to part of the average interest earned, over the previous five years, on the permanent fund set up using the revenue from oil mining. The dividend stood at around $300 per person per annum in the early years but was close to reaching $2000 in 2000, when the stock market plummeted and cut the dividend in half in the course of a few years. In 2008, however, the size of the annual dividends reached a new all-time high with payments of $2069 per person. During the 1960s and 1970s, the United States conducted four Negative Income Tax experiments; they took place in New Jersey and Pennsylvania (1968-1972), rural areas of North Carolina and Iowa (1970–72), Seattle and Denver (1970–78), and Gary Indiana (1971-1974). Several Native America nations distribute dividends to their members. For example, members of the Eastern Band of Cherokee Indians, based in North Carolina, receive payments of several thousand dollars twice a year. These payments are dividends from the profits of the Harrah's Cherokee casino, and have been distributed since 1996. A study of the payments' effects on the children of the community found significant declines in poverty, behavioral problems, crime, substance abuse and psychiatric problems, and increases in on-time graduation. The effects were primarily found among those who were youngest when the payments began, and among those who were lifted out of poverty rather than those who were already well-off. The entrepreneurial fund, Y Combinator (run largely by Sam Altman) is planning to run a basic income study in Oakland. In July 2017, Hawaii State Rep. Chris Lee published a bill to investigate basic income for his state. Basic Income has gained support from Australian academics such as John Tomlinson, John Wiseman, and Allan MacDonald. The Queensland Greens were the first Australian party to adopt a Guaranteed Adequate Income (GAI) policy in 1999. In 2010, the Liberal Democratic Party announced support of a negative income tax with a 30% flat tax rate and the Pirate Party of Australia announced its support in 2014. Basic Income Guarantee Australia was accepted into the Basic Income Earth Network in 2006 as an affiliate member. In August 2014, ACOSS made a recommendation to simplify the welfare system via a basic income support payment; however, this differs from a universal guaranteed income in that it would still be means-tested. "We are keen to have that debate about whether the time has arrived for us to have a system that is seamless, easy to pass through, [with a] guaranteed basic income and [where] you can move in and out of work on a regular basis," or "an income support system that means every time you stop work you have to go through the palaver of stand-down periods, more bureaucracy, more form filling at the same time as you're trying to get into your next job." Basic income has been discussed in modern Brazil at least since the 1980s. In 2001 a law was introduced by Senator Eduardo Suplicy of the Brazilian Workers Party which mandated the progressive institution of such a welfare system. By this move Brazil became the first country in the world to pass such a law. Suplicy had previously introduced a bill to create a Negative Income Tax, but that bill failed to pass. The new bill called for a national and universal basic income to be instituted, beginning with those most in need. The bill was approved by the Senate in 2002 and by the Chamber of Deputies in 2003. President Lula da Silva signed it into law in 2004, and according to the bill it is the president´s responsibility to gradually implement the reform. Since then Brazil has started to implement the bill through the Bolsa Família-program, which was a centerpiece of President Luiz Inácio Lula da Silva's social policy, and is reputed to have played a role in his victory in the Brazilian presidential election, 2006. ^ "Namibian Basic Income Grant Coalition". Bignam.org. Retrieved 24 July 2013. ^ "Assessment report after 6 months of BIG pilot project" (PDF). BIG Coalition Namibia. Retrieved 24 July 2013. ^ "A New Approach to Aid: How a Basic Income Program Saved a Namibian Village". Spiegel. 9 August 2009. ^ a b c d "Basic Income Grant Coalition: Pilot Project". BIG Coalition Namibia. Retrieved 24 July 2013. ^ "The Otjivero residents were promised confidentiality of their personal information. ", New Era, 15 July 2011. ^ Both quotations from Allgemeine Zeitung, 7 May 2012. ^ "South Africa: Democratic Alliance Repeats Call for Basic Income Grant". 15 September 2002. ^ Galuel. "INDIA: Basic Income Pilot Projects are underway | BIEN". Retrieved 2019-02-15. ^ "INDIA: Basic Income Pilot Project Finds Positive Results," Archived February 9, 2015, at the Wayback Machine Basic Income News, BIEN (22 September 2012). ^ Fernandez, Benjamin (4 May 2013). "Rupees in your pocket". Le Monde diplomatique. Retrieved 5 May 2013. ^ "BIEN Stories: Toru Yamamori | Basic Income News". BIEN. 2016-12-30. Retrieved 2017-05-27. ^ (in French) Kaori Katada, "Le revenu de base doit être promu par les citoyens ordinaires". ^ Lau, Stuart (12 November 2013). "Macau's residents each get 9,000 pataca handout, but critics not satisfied". South China Morning Post. Retrieved 23 August 2014. ^ "금 사회당 대표 "기본소득보장제 도입" →"We will introduce Basic income system", said Geum who is the delegate of Socialist Party" (in Korean). Yonhap News. 2007-11-20. Retrieved 2015-01-24. ^ "Iran's bold economic reform: Economic jihad". The Economist. 23 June 2011. ^ Chris Weller (31 May 2017). "Iran introduced a basic income scheme, and something strange happened". World Economic Forum/Business Insider. ^ The Basic Income Road to Reforming Iran's Price Subsidies, in: Basic Income Studies vol. 6, #1. ^ Mostafavi-Dehzooei, Mohammad H.; Salehi-Isfahani, Djavad (2017). "Consumer Subsidies in the Islamic Republic of Iran: Simulations of Further Reforms" (PDF). The Quest for Subsidy Reforms in the Middle East and North Africa Region. Natural Resource Management and Policy. Springer. 42: 259–289. doi:10.1007/978-3-319-52926-4_10. ISBN 978-3-319-52925-7. ^ "Basic Income - Who Are We?". Belgian Network for Basic Income. Archived from the original on 3 February 2013. Retrieved 24 July 2013. ^ "European citizens want the EC to consider Basic Income". Archived from the original on 2015-11-27. Retrieved 2015-10-22. ^ Bulgarian Union for Direct Democracy in Bulgarian language. ^ "Všeobecný základní příjem (Právo na lenost, nebo na přežití?)". ^ a b c d "Sisällä vai ulkona – kohti perustuloa?" (PDF). Kansallinen Sivistysliitto. 5 June 2007. ^ Perkiö, Johanna (9 October 2014). "Finland: the opposition leader proposes basic income pilots". Basic Income News. Archived from the original on 11 October 2014. Retrieved 10 October 2014. ^ "Neuvottelutulos strategisesta hallitusohjelmasta". Valtioneuvosto. Retrieved 16 December 2015. ^ "Universal basic income options to be weighed". Kela. Retrieved 16 December 2015. ^ "Kela to prepare basic income proposal". YLE. 30 November 2015. ^ Winick, Erin. "Universal basic income had a rough 2018". MIT Technology Review. Retrieved 2019-04-16. ^ "French Government agency recommends testing basic income". 7 January 2016. ^ "Histoire". Association pour l'Instauration du Revenu d'Existence. Archived from the original on 26 July 2013. Retrieved 24 July 2013. ^ "Hommage à André Gorz". Revenu de Base. 14 November 2012. Retrieved 24 July 2013. ^ Perrotin, Damien (5 July 2012). "Campagning [sic] with the Greens: the basic income delusion". Energybulletin.net. Archived from the original on 2013-01-17. Retrieved 24 July 2013. ^ "L'allocation universelle : une voie libérale vers le communisme, par Jacques Marseille". Mouvement des Libéraux de Gauche. Archived from the original on 2015-04-02. Retrieved 24 July 2013. ^ "FRANCE: Opinion Poll Shows 60% Support for Basic Income". 21 May 2015. ^ "GERMANY: Pirate Party endorses Basic Income in its national campaign". Basic Income News. Archived from the original on 16 April 2014. Retrieved 24 July 2013. ^ "Main German Government Party considers Basic Income as alternative to social welfare". Socialjustice.ie. Archived from the original on 19 June 2013. Retrieved 24 July 2013. ^ Kipping, Katja (5 August 2009). "A basic income as an allowance for democracy". ZNet. Retrieved 24 July 2013. ^ "GRUNDEINKOMMEN - SPD-Kreisverband Rhein-Erft: Das wirklich Wichtige tun". Rhein-erft-spd.de. Archived from the original on 2013-07-02. Retrieved 24 July 2013. ^ "Petitionen: Verwendung von Cookies nicht aktiviert" (PDF). ^ Stanislas Jourdan, "A monetary approach towards an unconditional basic income in Greece," 14th BIEN Congress (Munchen 2012). ^ "FNA-Hungary". Alapjovedelem.org. Retrieved 16 August 2013. ^ "Kaloz-party". Kalozpart.org. Retrieved 16 August 2013. ^ "LÉT". Retrieved 28 July 2016. ^ "Viðskiptablaðið - Leggja fram þingsályktunartillögu um borgaralaun". ^ "Pirates Propose Guaranteed Basic Income". The Reykjavik Grapevine. ^ "Home". Basic Income Ireland. 1 January 1970. Retrieved 5 June 2014. ^ "Irish Government's Green Paper on Basic Income". Cori.ie. Archived from the original on 2 July 2014. Retrieved 5 June 2014. ^ "33 MEPs call for support for the EU Citizens Initiative for Unconditional Basic Income - Press Center". ^ Vanderborght, Yannick (2005). "The Basic Income Guarantee in Europe: The Belgian and Dutch Back Door Strategies". The Ethics and Economics of the Basic Income Guarantee. Ashgate: 257–81. ISBN 978-0-7546-4188-9. In no other advanced European welfare state has the BIG [i.e., Basic Income Guarantee] debate been so broad and lively as in the Netherlands. Since 1975, the idea of a basisinkomen has been discussed within many Dutch political parties, trade unions, social organizations, and even at the governmental level. ^ "Dutch city of Utrecht to experiment with a universal, unconditional basic income". The Independent. 26 June 2015. Retrieved 27 June 2015. ^ Carlsen, Carina Charlotte. "Vil gi alle nordmenn 158.432 kroner NA24" (in Norwegian). Na24.no. Retrieved 16 August 2013. ^ "Arbeidsprogram" (in Norwegian). Rødt. ^ "Familie og barn" (in Norwegian). Archived from the original on 2014-10-17. ^ Gansmo, Arne Kristian; Tonning, Ståle (22 April 2012). "Nyvalgt leder må ta stilling til forslag om dødsstraff - NRK - Trøndelag" (in Norwegian). ^ "Referat ordinært landsmøte 2014" (in Norwegian). ^ Langåker, Svein Olav (9 April 2013). "Kjempar for borgarløn i Venstre" (in Norwegian Nynorsk). Archived from the original on 18 October 2014. Retrieved 13 October 2014. ^ "Borgerlønn - BIEN Norge - Om Oss" (in Norwegian). Retrieved 13 October 2014. ^ "Udany start program 500+" (in Polish). 2 April 2016. ^ "Red Renta Basica". Red Renta Basica. Retrieved 24 July 2013. ^ "Taking It to the Streets in Spain". CounterPunch. 14 May 2012. Retrieved 24 July 2013. ^ "Spanish Popular initiative for basic income collects 185,000 signatures". 16 March 2015. ^ "Home | BIEN-CH". Bien-ch.ch. Archived from the original on 2017-10-15. Retrieved 16 February 2014. ^ News, Generation Grundeinkommen. Retrieved 6 September 2013. ^ "Making-of zum Film Grundeinkommen – ein Kulturimpuls". Grundeinkommen.tv. Retrieved 24 July 2013. ^ "Grundeinkommen: Start (f=French, d=German, i=Italien)". Inconditionnel.ch. Archived from the original on 19 May 2012. Retrieved 24 July 2013. ^ Balibouse, Denis (4 October 2013). "Swiss to vote on 2,500 franc basic income for every adult". Reuters. Retrieved 16 February 2014. ^ Straub & Müller, Daniel & Christian. "Nationaler Feiertag". Initiative für Bedingungsloses Grundeinkommen. Archived from the original on 2013-10-07. Retrieved 31 July 2013. ^ Marty, S (26 July 2013). "130'000 Schweizer wollen das Grundeinkommen". 20 Minuten. Retrieved 31 July 2013. ^ "Swiss consider welfare overhaul with guaranteed income". 7 April 2014. Retrieved 8 April 2014. Missing or empty |series= (help) "Volksinitiative Bedingungsloses Grundeinkommen". Volksinitiative Bedingungsloses Grundeinkommen. Archived from the original on 2015-10-23. Retrieved 19 October 2015. ^ Kother, Harald (22 March 2011). "Basic Income: The Way out of a Sick Society". Los Angeles Indymedia. Retrieved 24 July 2013. ^ "Swiss government opposes basic income initiative". 29 August 2014. ^ "Switzerland's lower house rejects basic income, but poll shows popular support". 3 October 2015. ^ "Switzerland's voters reject basic income plan". 5 June 2016 – via www.bbc.com. ^ Wattles, Ivana Kottasova and Jackie (5 June 2016). "Switzerland rejects plan to pay every citizen at least $2,500 a month". ^ "What Will the Currency of a Workless, Cashless Future Be?". Futurism. Retrieved 2019-04-16. ^ "Ukrainian tech startup turns online time into digital cash - Jul. 21, 2017". KyivPost. 2017-07-21. Retrieved 2019-04-16. ^ "Proposed Roads To Freedom By Bertrand Russell". www.zpub.com. Retrieved 2017-05-27. ^ "SNP conference backs universal basic income for independent Scotland". The Independent. 15 March 2016. Retrieved 15 March 2016. ^ Rollins, Kevin. "Green Party calls for Basic Income". Freeliberal.com. Retrieved 24 July 2013. ^ "Greens Publish Citizen's Income Plan For Fairer Scotland". Scottish Green Party. 10 August 2014. Retrieved 5 September 2014. ^ "Labour Party considering universal basic income policy, shadow chancellor John McDonnell says". The Independent. 17 February 2016. Retrieved 18 March 2016. ^ "Labour set to pilot radical basic income policy in next manifesto, John McDonnell says". The Independent. Retrieved 2018-08-02. ^ "Britain's labour figures hide the real hours we work every day". The Guardian. 2012-08-19. ISSN 0261-3077. Retrieved 2017-05-27. ^ Jourdan, Stanislas (8 November 2012). "Guy Standing: the precariat is growing Angry". Boilingfrogs.info. Retrieved 24 July 2013. ^ Sandbu, Martin (19 May 2012). "Not for sale". Financial Times. London. ^ "BIEN Stories: Louise Haagh | Basic Income News". BIEN. 2017-01-01. Retrieved 2017-05-27. ^ "1970s' Manitoba poverty experiment called a success". CBC News. 25 March 2010. ^ Vivian Belik (5 September 2011). A Town Without Poverty? The Dominion. Retrieved 27 August 2013. ^ "Creating a Basic Annual Income to be Designed and Implemented for a Fair Economy". Liberal Party of Canada. Retrieved 24 February 2014. ^ "Guaranteed Livable Allowance". The Canadian Progressive. Archived from the original on 2015-09-30. Retrieved 2015-10-22. ^ "Policy - Pirate Party of Canada". Archived from the original on 2014-02-19. ^ (in French) "Québec solidaire présente des propositions audacieuses pour combattre les inégalités," Québec solidaire (14 aout 2012). ^ "NDP support guaranteed income pilot project". CBC News. Retrieved 24 February 2014. ^ Marangos, John. "Two arguments for Basic Income: Thomas Paine (1737-1809) and Thomas Spence (1750-1814)". History of Economic Ideas. ^ Frank, Robert H. "The Other Milton Friedman: A Conservative With a Social Welfare Program," The New York Times (23 November 2006). ^ Suplicy, Eduardo (June 2000). "Eduardo Suplicy's Interview With Milton Friedman". The U.S. Basic Income Guarantee NewsFlash. ^ Jordan Weissmann (28 August 2013). Martin Luther King's Economic Dream: A Guaranteed Income for All Americans. The Atlantic. Retrieved 30 August 2014. ^ "Daniel Moynihan and President-elect Nixon: How charity didn't begin at home". ^ a b Basic Income Guarantee - Your Right to Economic Security | A. Sheahen | Palgrave Macmillan. ^ "Income". Passiveincome.asnsimplebusiness.info. Archived from the original on August 13, 2014. Retrieved 24 July 2013. ^ Danny Vinik (20 November 2013). Paul Ryan Should Get Behind This Plan To Give Everyone Free Money. Business Insider. Retrieved 28 January 2014. ^ "2010 Platform: Economic Justice & Sustainability". The Green Party of the United States. Archived from the original on 2011-06-19. ^ Rifkin, Jeremy (1995). The End of Work – The Decline of the Global Labor Force and the Dawn of the Post-Market Era (1st ed.). New York: Tarcher/Putnam. ISBN 978-0874777796. ^ "History of basic income | BIEN". BIEN. Retrieved 2017-05-27. ^ Bowling, Caitlin (5 December 2012). "Cherokee banks brace for rush when casino checks go out". Smoky Mountain News. Retrieved 19 January 2014. ^ Velasquez Manoff, Moises (18 January 2014). "What Happens When the Poor Receive a Stipend?". The New York Times. Retrieved 19 January 2014. ^ Sutter, John (1 March 2015). "The argument for a basic income". CNN iReport. Retrieved 5 March 2015. ^ "Moving Forward on Basic Income". ^ Weller, Chris. "Basic income experts predict an important milestone for free money in 2018". Business Insider. Retrieved 2019-04-16. ^ "QUT - Basic Income - Academic papers". Archived from the original on 2015-09-23. Retrieved 2015-10-22. ^ "30% flat tax to increase living standards". Archived from the original on 2015-10-07. ^ "QUT - Basic Income - About BIGA". Archived from the original on 2014-10-06. Retrieved 2015-10-22. ^ "ACOSS call for single welfare payment to cover 'life essentials'". The Sydney Morning Herald. ^ "Labour leader Andrew Little promises debate on universal basic income". stuff.co.nz. 14 March 2016. Retrieved 15 March 2016. ^ "Instituto pela Revitalização da Cidadania". ReCivitas. Retrieved 24 July 2013. ^ "INTERNATIONAL: Google Gives $2.5 Million to a Direct Cash Transfer Charity - BIEN". 4 July 2013. ^ "BRAZIL: Basic Income in Quatinga Velho celebrates 3-years of operation - BIEN". 7 June 2012. This page was last edited on 16 April 2019, at 14:42 (UTC).